In the current computer based world, people spend almost 90% of their time in front of the monitor. Whether they are at home or office, most of the people are use monitors to check their email, Facebooking, chat, watch movies, play games, etc. 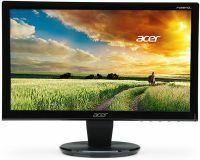 If you are looking for monitors, you can find a wide range of monitor products on DealsCorner. Instead of visiting different online portals, you can find products from all the major online stores like Flipkart, Amazon, Infibeam, Shopclues, etc. on single platform. You have the facility and flexibility on DealsCorner to compare the products and prices offered by these online stores and then choose the product you need. Almost everyone who uses a computer, which has become a basic need in our digital world, needs a monitor. 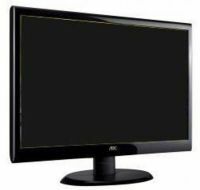 Even if you are emailing, chatting, facebooking or paying bills online, you need a monitor. 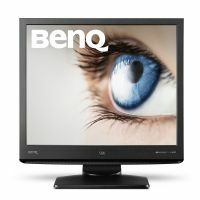 In fact people who are fond of HD quality movies, games or graphics need high resolution monitors with extra features. 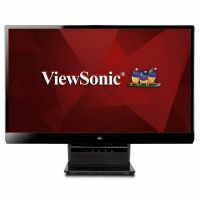 For basic computing you can low priced monitors in different sizes as per your choice. 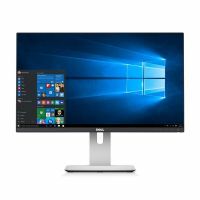 For computing, gaming and movies, you can look for multi-purpose monitors that are slightly costlier than the basic monitors, but there are several features available in the multi-purpose screen. The multi-purpose screens are useful in watching movies, sharing photos, video conferencing, playing video games and much more. You can also use it as the home theatre screens, depending on the screen size. If you are multi-media professional and regularly work on different graphic designing or video production projects, then you can look for larger screens with full HD or Quad HD resolution. With extra screen space and clarity, detailing of images are clear and crisp. 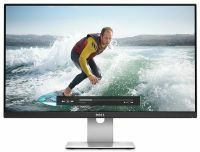 Even for video editing, you can find monitors with less response time, so that you can reduce the motion blur or ghosting. If you are a video game lover, then you should look for monitors with HD resolution with less response time and high refresh rate. You can also change the angle of the monitor by using the adjustable stands or dual display mount. There are different display types like In-Plane Switching (IPS), Light Emitting Dilode (LED), Liquid Crystal Display (LCD, and Touchscreen display. Choose the type and size of the monitor as per your requirements. The colour and design of the monitor can vary model to model, depending on the make. 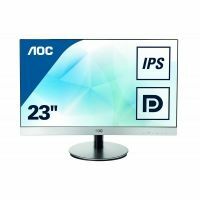 You can find a wide range of monitor products of DealsCorner. You can search the product you need from any page you are on. There are several filtering options given on the product search page, using which you can narrow the search results. At DealsCorner, you will products from all the major brands and online stores. We have many well-known brands like Samsung, LG, Dell, AOC, Benq, and Asus. Instead of visiting local stores and getting confused with the varying price range, you can shop the product you need, sitting at home. Search the product you need, filter the results, compare the products and prices offered by various online stores and then choose the product of your interest in the lowest price range available in India. Enjoy your shopping on DealsCorner, and keep posting your reviews.